Australia will join Afghanistan and Uganda in the Ranji Plate League with immediate effect. In a dramatic turnaround of events after the pathetic loss (on all counts) to New Zealand, Australia in an effort to salvage any remaining pride will try and regain some form by playing against the minnows of the Indian league. Cricket Australia officials stated that they reached an understanding with the BCCI in this regard. CA expects Ponting to regain some behavioral form and the new players get accquainted to competition of an international sort. CA is also expecting that Brad Haddin start keeping behind the wickets as opposed to being in front of them. This agreement comes as a big relief to the Aussies as they try and maintain their official status as “champions once upon a time”. This also gives them an opportunity to witness in person the humanitarian efforts by multilateral agencies to increase public awareness of cricket in Afghanistan, Uganda, Vidharba, Assam, Himachal Pradesh and Services. Our best wishes to the Australian team and their newfound desire to qualify for the Ranji Super League. I never actually left, but I haven’t blogged in i3j3 for a long time and thought I’d break the silence with a post today. So, what’s been happening in Indian cricket lately? After a horrid start to the series, India made a good comeback to beat SL in SL – a big achievement, really. They’ve never done this in the past and the credit should go solely to MS Dhoni. After the pathetic performance in the tests and the 1st ODI, I had (like many others) written this side off, and somehow they managed to pull through to win the series. Well done, guys. I am usually glued to the idiot box when the Champions Trophy is on, but that doesn’t mean I fully approve of this tournament. It is kind of like a World cup, but isn’t. It doesn’t have the importance or stature of the World Cup and International Cricket could well do without this tournament in its already packed schedule. ICC could get rid of tournaments like this and the Afro-Asia cup and nobody would miss them. What the …? This came as a surprise to me – I am really glad BCCI didn’t sign up for a quadrangular or triangular or some x-angular tournament to fill up the gap created by the postponement of the Champions Trophy. They apparently want to use the time to prepare for the upcoming Australian Test series. What the…? Yes. That sounds like the BCCI we have all come to know and love. For a very brief moment I thought BCCI was actually changing the way they think. Oh, well – back to reality, now. India are going to be playing 19 days of cricket in 33 days. The longest gap they get between any two matches will be 2 days. Yep, that’s right – 2 days. Unless, of course we finish the 5 day test matches in 3 days…Going by what happened in NZ in the previous series, we are sadly quite capable of doing that. We have advocated this in this blog in the past, and I am very happy that the BCCI has decided the positions in the Selection committee are to be made paid positions. Ok, they are only recommendations made by the working committee at this stage, but I would expect this to be accepted soon. Now they will have more accountability and responsibility. Sledging – bind or be blind? The two greatest rationale and philosophy of our times, capitalism and democracy, are based on the idea that individuals, through their actions based on self-interest, will drive forces towards the most beneficial state for inviduals and/or society as a whole. In extending this thinking to the cricketing field and the current controversy over sledging, is it not best that the cricketers themselves decide what is acceptable and not acceptable to them, through their actions on the field, instead of expecting an external body such as ICC to define it for them? This thinking takes the exterme opposite view of what Harsha Bhogle tries to recommend in his article in The Times of India. My sincere opinion is that cricketers should be allowed to use sledging, without any constraints, irrespective of how offensive it is. Most people take offense because they might feel ill-equipped in the approved forms of retaliation. In the newly recommended open environment, one can use whatever means one has, to retaliate. In a bizzare way, nothing will eventually be offensive to anyone, since its free for all. I look at it as a positive development in line with the ongoing changes that cricket has embraced in Twenty20, IPL and Technology. Also, with every control that has been vested in the hands of the ICC, there have been perceptions of inconsistency and impotence felt by stakeholders of the game across the globe. In the interests of the game and a practical step forward, I feel its best that the players are let loose on each other in the center, so that the public is relieved of the after shocks. This brings to an abrupt end, months of debate and platitudes over whether someone or some society is racist or not, whether a certain person was as severely punished as another etc. 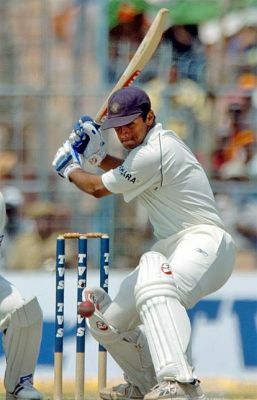 I am positive that with each sledging act in the field, players will yell the choicest of abuses at each other without any interruptions from any players or officials, and when the energies are exhausted in that act, each will take their stance to bat or bowl or field the next ball and the game will move on. In Mohan’s earlier post, ‘Deadlocked Australia v India (2007-2008): Where does it all go now?’ he mentioned that all parties in this drama need to take up the responsibility. While I totally agree, the one single event that has caused this affair to reach boiling point is obviously Mike Proctor’s mind boggling decision on Harbhanjan Singh. What was he thinking? Did he expect to be applauded for handling the situation in a fair and professional manner. What a joke. The Indians felt that the Harbhajan incident was adding insult to injury and quite rightly so. There wouldn’t have been such a stand-off but for Proctor’s decision. For all we know, the Indians may have actually agreed to play the Perth test ‘under protest’ for allowing Steve Bucknor to officiate and carried on. In an ideal world a much younger and fitter umpire like a Simon Taufel or an Aleem Dar could have ensured that the Indians didn’t get a raw deal and hence no umpiring controversy would have marred this otherwise high quality Test. Again, in a ideal world, Proctor would have had the training and perhaps more commonsense to say that he did not have enough evidence to make a decision, but the allegation was serious enough to be handled by a qualified professional panel. But then in a ideal world (atleast for Indian fans), India would have won the Sydney Test after taking a first innings lead of 300 runs! I came across a couple of interesting interviews with two respected cricket commentators who are currently part of the ABC Grandstand team – Jim Maxwell and Harsha Bhogle. Twenty20 World Championship 2009 Groupings! It seems like only yesterday that the most recent edition of the Twenty20 World Championship was over. In a move that is set to raise Andrew Symonds’ ire and displeasure, the Indian victory celebrations have not yet fully concluded — the victorious Indian team was felicitated by the Indian President and Indian Prime Minister of India only a few days back! Luckily, given that BCCI officials were not present, the Indian team took centre-stage — rather than back-stage — in this felicitation ceremony! However, in amongst all of this, the ICC has released its groupings for the 2009 Twenty20 World Championships already! The 2009 edition of the ICC Twenty20 cricket World Championships will be played in England! The early decision on the groupings was apparently requested by the hosts (ECB) who wanted to complete the venue-allocation process — through a bidding process — followed quickly by ticket sales! Defending champions India will be placed in the easy group A along with Bangladesh and Zimbabwe. This is really crazy in my view. To rank teams and place them in groups nearly two years prior to an ICC flagship event smells of opportunism and nothing else. A rankings-predictor based on the results of one tournament — the 2007 T20 World Cup — is just a nonsense. Who knows what will happen to the official rankings two years from now. While India seem to have been placed in an “easy” group, we have ODI World Champions Australia in a group with Sri Lanka and West Indies. Try explaining that to the Sri Lankans! Group D: New Zealand, South Africa, Associate 2.